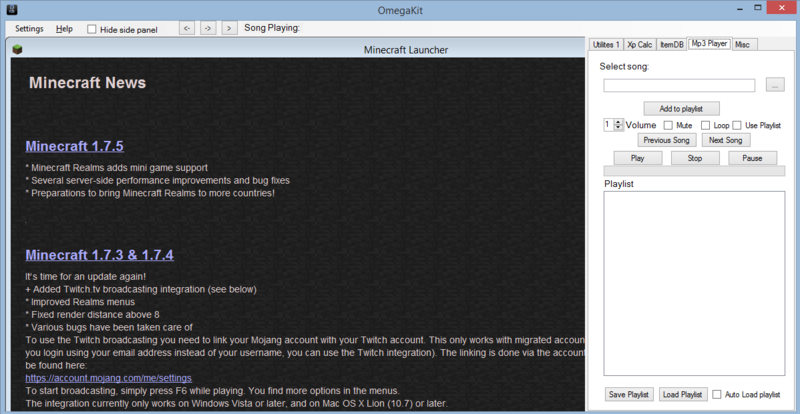 Created as a toolkit for the game minecraft it added a variety of extra features. 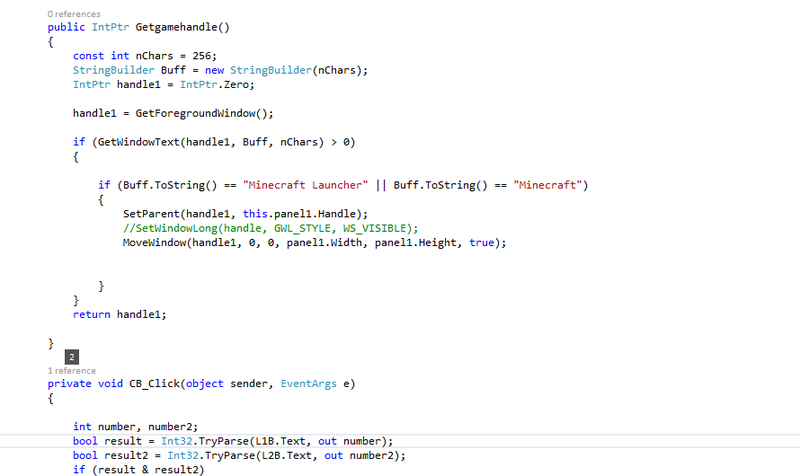 Created in C# and in Visual Studio it used process capture to embedd the game. There were multiple tools surrounding the game including an mp3 player, item database and others. Included but never rolled out was an irc client. Using multiple threads it functioned as a full client and could be embedded in the client. Was used by over 1000 people and included auto updating and I provided online support.